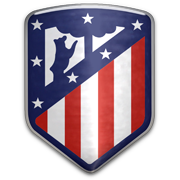 Following back-to-back wins over the likes of Deportivo Alaves and Girona, Atletico Madrid suffered a 2-0 loss to Barcelona in the La Liga derby at the weekend. As a result, los Rojiblancos have slim chances of winning the domestic trophy, but they will surely give 100% to finish the season above their fierce local rivals Real Madrid. Diego Simeone’s troops are a real force to be reckoned with at home and seeing that they have already suffered elimination in the Champions League, we predict that the Argentine tactician is going to field the best possible side against Os Celeste. The Galicians are fighting hard to secure yet another La Liga survival, but seeing that they are not regarded as good travelers, we do not believe that they are capable of spoiling Atletico Madrid’s party at Estadio Wanda Metropolitano on Matchday 32.